Editing should maximize the likelihood the purpose of the content creator’s message is achieved. If the content is supposed to inform, then the audience must be able to comprehend it. 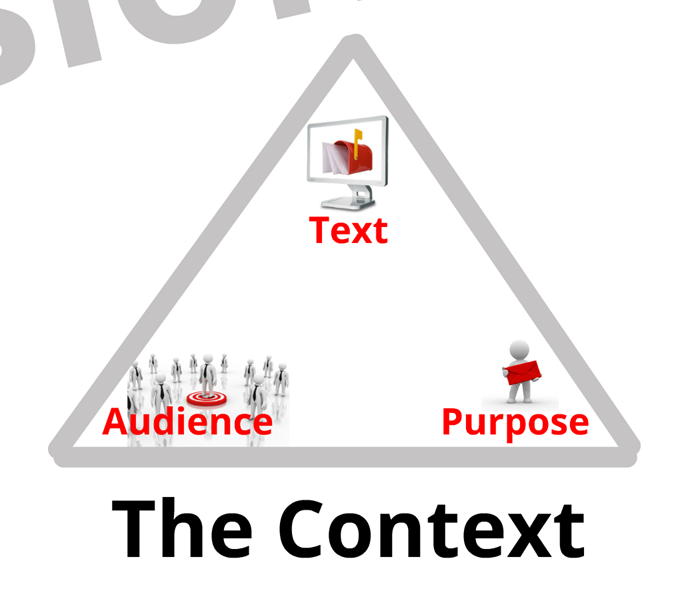 If the content is intended to direct, then the audience must comprehend it and also be willing and able to use it. This means editors must know the audience in order to recommend changes. The best information about an audience comes from testing messages with representative people. Despite increasing the cost of developing content, testing can be done on a shoestring budget. To learn more about testing documents, you can begin with the guidelines on usability testing from the federal government’s plain language site. After testing, a knowledgeable and impartial editor often achieves more with testing feedback than the original content writer. But editors often don’t have the authority to instigate audience testing. The videos below supplement what appears in Chapter 2 of Revising Professional Writing, 4th edition, a specific system for analyzing an audience without testing. How sensitive is the audience to the content? How much expertise does the audience have in the content? There aren’t many posts here at Pros Write that don’t deal with audience. If you enter “audience” in the search field near the top of this page, you’ll get about 10 results. If you want to see the specific research supporting my guidance, there are countless possibilities. You might begin with the following sources. Tomorrow, my technical editing students at the University of North Texas begin discussing editorial decision-making. The rhetorical context within which content is created is critical to good editorial decisions. Although the video below was created for professionals who write, I’m using it to teach editors how to think about purpose in nonfiction content. The video supplements what my co-authors and I put into Chapter 1 of Revising Professional Writing, 4th edition. There are a handful of posts here at Pros Write that deal with purpose in workplace documents. Just search for “purpose” or “planning” in the field near the top of this page. If you want to see the research supporting my guidance, check out the following sources. Campbell (2015). 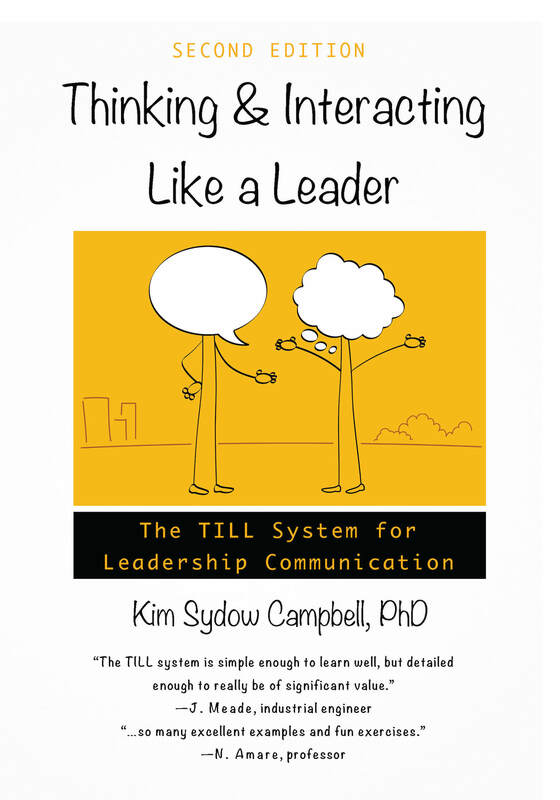 Thinking and interacting like a leader: The TILL system for leadership communication. Chicago: Parlay Press. Quinn et al. (1991). A competing values framework for analyzing presentational communication in management contexts. Journal of Business Communication, 28, pp. 213–232. In Part One of my attempt to explain how I understand plain language, I focused on the elements of a text that must be managed to create a plain language document. Anyone who has known me for long, however, could have predicted that I would talk about the rhetorical context of a high quality document in Part Two. Here come my two cents on understanding plain language as an outcome of an audience’s interaction with a text. Allow me to give a little background first. Following Aristotle, I like to use the rhetorical triangle. The corner with text refers to the elements of content, organization, style, and mechanics that appear in writing and make up the document itself. The corner with audience refers to the recipients of the document. I used the revised email announcement shown below in Part One on defining plain language. And I claimed it was a move toward plain language compared with the original version. One who is not fluent in English. One who doesn’t care about pension plans. Not surprisingly then, one way to define plain language is to focus on the effect or outcome a text has on its readers — rather than on the text itself. As PLAIN (Plain Language Association InterNational) states, “Plain language is language understood by its audience.” And some folks prefer not to use the term “plain language” at all because of it implies the focus is on the language or text rather than on the reader. So what are the desired outcomes of a plain language document on its audience? I suppose the most often mentioned is comprehension. It follows that a common prescription from those interested in better workplace writing is to address an audience as if they have less education than the writer or less expertise in the document topic. Sometimes this is explained by referring to reading levels. In a 2004 report, William DuBay recommended writing to an general audience at the 7th grade level and lowering this to the 5th grade level when communicating about health, medicine, or safety. When writing Berkshire Hathaway’s annual report, I pretend that I’m talking to my sisters. I have no trouble picturing them: Though highly intelligent, they are not experts in accounting or finance. They will understand plain English, but jargon may puzzle them. By the way, that handbook is a terrific, concise guide for implementing plain language within the workplace. The bottom line: I understand plain language as the outcome of an audience’s interaction with a text, and the outcome includes but is not limited to comprehension. You may have noticed that I have said next to nothing about the third point of the rhetorical triangle. That means you can expect Part Three to address document writers and their purposes for writing. In the first two posts defining what I mean by “plain language,” I have focused on two points of the rhetorical triangle: textual elements like style and organization (Part One) and reader outcomes like comprehension and usability (Part Two). Now it’s time to tackle the third, the writer’s purpose. This is arguably the aspect of rhetorical context that gets the least attention when it comes to workplace documents. This is logical. For academic writing — you know, the kind of writing done throughout nearly all formal education — the writer has often been promoted as the most important aspect of the rhetorical context. Take, for instance, the concept of “writing to discover” from Peter Elbow. (Here’s a 2007 interview which will help you understand this perspective on writing.) I’ve written several posts about the unhappy consequences of students learning to write only for teachers (see this early one or this more recent one or my About page). One of the things teachers have in common as an audience of student documents is that they must support this writer-centered view. At least to some extent. I mean the student writer is the focus of a teacher’s professional responsibility. The emphasis on the audience in workplace writing is critical for helping workplace amateurs focus on the rest of the rhetorical context and become pros. However, as a representative of his or her organization, the workplace writer and his or her purpose for a document is also critical. Unlike academic writers, whose writing is self-centered, workplace writers must focus on both their audience and the organization they represent. While these do a good job of describing the immediate aims of the writer’s document, they don’t adequately connect to the overarching organizational goals to which the document contributes. I’m talking about THE bottom line — money. Whether for-profit or not, every successful organization seeks to maximize revenue and minimize costs. When workplace writers create documents, they affect their organization’s bottom line. Not long ago, I wrote about selling plain language to your manager. (In fact, a comment on that post is why I started this series on defining plain language.) I argued that a business case for creating quality documents might be the key. Making a business case includes analysis of costs, including risks, and benefits. Let’s consider a simple, hypothetical business case for creating the email announcement to employees about changes in pension plan contributions — the one referred to in Part One and Part Two. In the table below, I’ve calculated costs for creating both a lower quality and higher quality announcement based on the salary of those involved. The lower quality announcement costs less before delivery but results in higher overall cost to the organization due to the greater time required for employees to read the email and for HR employees to answer questions about the email content after delivery. Note that I haven’t tried to calculate benefits related to things like employee satisfaction or compliance with federal requirements. Risk assessment is not my specialty. Nevertheless, those benefits could be converted into dollars for the writer’s organization. My point with this simple example is that plain language is not only about the text and the audience. Or even the about the writer’s purpose for writing. It’s also about the organization’s goals. While I’ve talked about all three corners of the rhetorical context, there’s one more post coming on understanding plain language. I need to deal with the process involved in creating plain language documents. 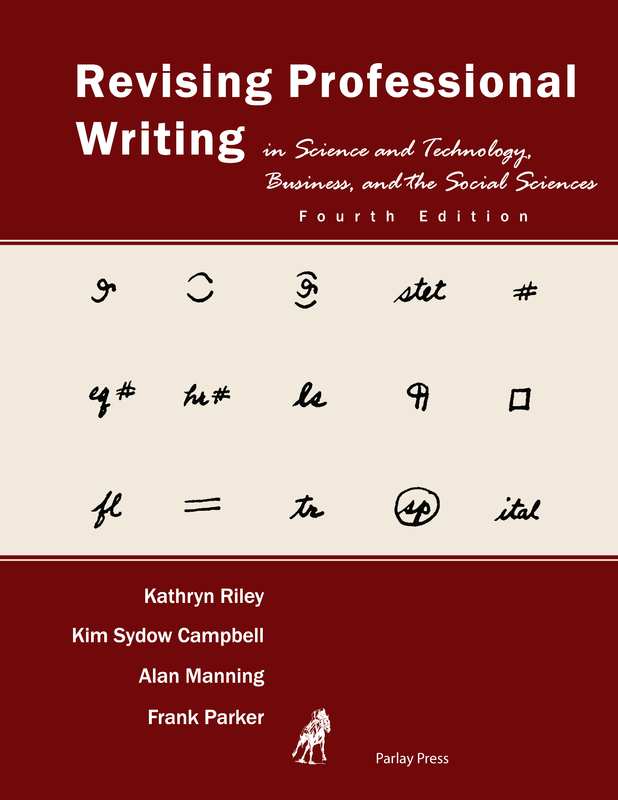 The 4th edition of Revising Professional Writing in Science and Technology, Business, and the Social Sciences is now available. It’s an affordable workbook at $39.95 USD, with over 400 revision and editing problems. Instructors get an answer key plus supplements here on Pros Write (e.g., sample documents, videos, etc.) supporting the principles in the book. Each of the 21 chapters explains research-backed principles for revising or editing a single element (e.g., informative graphics, bottom line placement, conciseness, pronoun reference, etc.). The succinct explanatory text is followed by revision and editing problems that require increasing levels of expertise within each chapter. Over 400 revision and editing problems covering rhetorical context, development, organization, style and tone, and mechanics. Problems range from sentences and paragraphs to 11 full-length texts. Examples from a variety of texts: memos, letters, résumés, proposals, instructions, definitions, and reports. 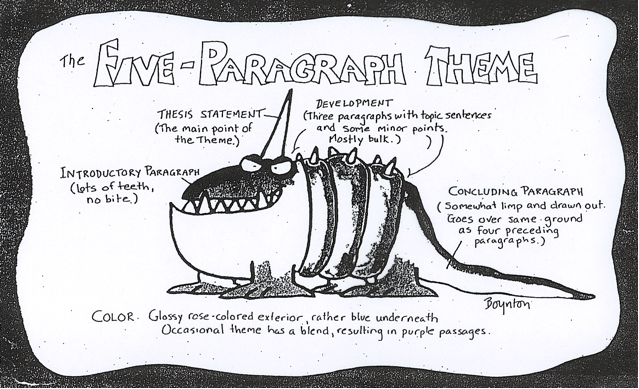 All revising and editing problems drawn from the actual writing of college students. Self-contained chapters, allowing flexible use with other textbooks. The 2nd edition of Thinking and Interacting Like a Leader: The TILL System for Leadership Communication is now available as an ebook on Google Play. The book is a concise guide to help current and future managers become better leaders by building their personal power. In a nutshell, the TILL system teaches you to manage tone when you manage people. Its focus is deliberately not media specific. But I plan to create a few relevant posts about writing here on Pros Write this fall while using the TILL ebook in my course on leadership communication. (Yes, I do have a day job.) There have been a few guest posts here by terrific former students in that course. In fact, the material in the ebook grew out of my experiences teaching them about the role of language in leadership. One of the great things about ebooks is that you can read a sample without buying. The 1st two chapters of TILL are available free on Google Play. Thanks to Frank and Kathy at Parlay Press for making it happen. A few days ago, Lee Salz published Help! My salespeople can’t write! He notes that writing skill has become critical because business-to-business selling involves lots of emails and electronic documents, where face-to-face and phone conversations used to prevail. 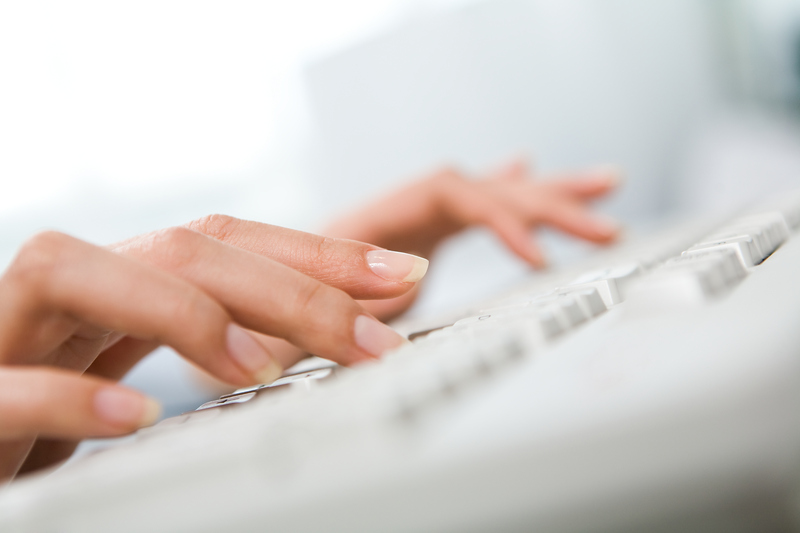 Salz summarizes a test for assessing a job candidate’s writing skills that is worth sharing. Salz says he uses the document produced by the candidate to assess writing skills, as well as several other indicators of success: how well the candidate understands the role he/she would play and whether he/she can meet a self-imposed deadline. A couple of months ago, the CMO of a tech startup shared Surviving Email Politics at Work via LinkedIn. Email is an extension of you, part of your reputation. What you say and how you conduct yourself over email is the professional “you.” Managing this carefully is important. Jeff Pearlman tells the story of a hopeful college intern who failed to get his dream job because he sent a thank-you via email from his phone. And didn’t capitalize the first letter of Thursday. This one hurts my heart. But the message is clear. Professional email sent via mobile devices is especially prone to make you look UNprofessional. 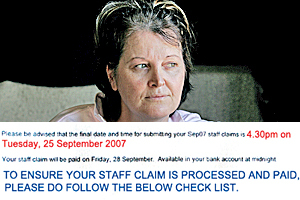 A financial controller in New Zealand was fired for sending email perceived as confrontational because she used bold, all caps, and red type. More on this story from The New Zealand Herald, which includes a cornucopia of entertaining stories about email blunders. As Leslie O’Flavahan says, “Back away from the caps lock” to create a professional impression. Let’s hope we are all wealthy and retired by the time this house of card falters. I don’t recommend you spend too much time reading the examples at Business Insider. They’re depressing. But they make my point that what you put into an email represents you as a person–not just as a writer. I believe the S&P employee was a greedy jerk. And I’ve never met him/her. All I know about the individual is the result of that sentence from an email. 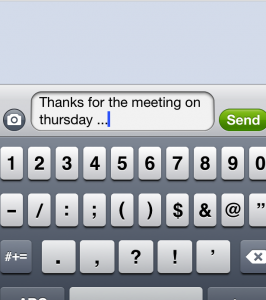 So think carefully about how you want to be represented before you hit send. For a more humorous slant, you can read about the BuzzFeed reporter who mistakenly emailed his entire company, explaining he would be late to work because the water heater at his apartment wasn’t working. This is the kind of thing you can get away with only once. (And then only if your workplace includes a lot of nice people.) It takes a long time to overcome the negative image such a mistake creates. Tone Interpretation: I’m really busy. I don’t have time for you, and by the way, you’re not worthy of a capital Y. What could have been written: Yes. Your audience determines your reputation based on what you put into that email message. To succeed, you have to be able to predict how they will interpret what you wrote. There are those who say email is dying. But that day is not today. In 2012, The Atlantic reported that we spend about one-quarter of our work life (650 hours per year) dealing with email. If email dies, then a new medium/tool for communicating will create an artifact that represents you. Sorry to disappoint.